Beverly's Official Blog | News and findings from world of crafts, scrapbooking and more: The Big Shot comes to Beverly's! The Big Shot comes to Beverly's! The Big Shot from Sizzix! Everyone wants it and we've got it - it's a Bev's Best Buy and we have it for only $69.99! 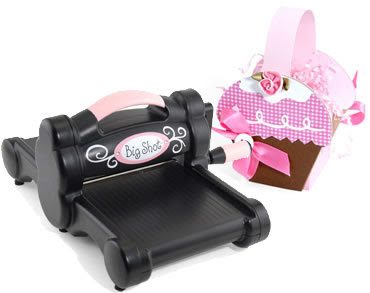 This stylish black and pink Big Shot works with the entire Sizzix product library; and even works with other brands' dies and embossing tools. For some great inspiration .... check out the Sizzix web site! i think the new product you came out with will really sell! Kids FREE Event Tomorrow at Beverly's!